"Argo" continued to rise tonight at the Screen Actors Guild where, by awarding the film best ensemble, some 4,700 performers backed Ben Affleck as a director, actor and producer (with a little help from George Clooney). 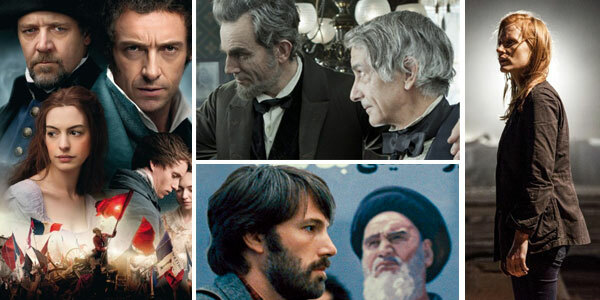 Meanwhile, the "Lincoln" fade continues – and it looks like Steven Spielberg’s passion project will not rise again. Between tonight’s accolades for "Argo," with its cast of 150 speaking English and Farsi, and last night’s Producer’s Guild of America honors, Affleck's sharp period political thriller is now the Oscar frontrunner for best picture. Not only are Affleck and "Argo" both popular and respected, the money-maker may have received a backlash boost after the Academy shamelessly snubbed Affleck for best director. With the trifecta of standing ovations at the Golden Globes, the PGA’s and now the SAG’s, it’s clear that the tide has swung in "Argo’s" favor. Affleck is the epitome of the new Hollywood – a respected, married, multi-hyphenate who is smart, and smart enough to remember that movies are supposed to be entertainment. 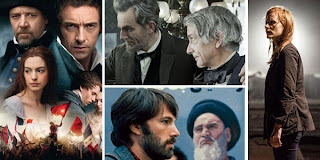 Meanwhile, despite the expected win for Daniel Day-Lewis for best actor in the title role of "Lincoln," and the actor’s attempt to make it seem like his statuette is the sign of a successful collaboration, it’s pretty much a testament to a single and singular performance. The glory does not seem to be spreading to director Spielberg, for whom this was a pet project that took him over eight years to produce. In the end, like "War Horse" last year, "Munich," or "Amistad," the presidential biopic has earned respect but not love. It is a favorite of some but not beloved of the many that are needed to achieve best picture consensus. The other hot race that everyone still has their eyes on is best actress. Jennifer Lawrence triumphed for “Silver Linings Playbook,” beating out Jessica Chastain for "Zero Dark Thirty." Although J. Law is favored to win at the Oscars, this may be the closest acting race this year. Lawrence lacks the lock that Day-Lewis maintains. Remember, last year, Viola Davis scored the SAG for “The Help.” And then Meryl Streep took the Oscar for “The Iron Lady.” That was the only race of the four acting awards that didn’t synch up between the SAG’s and the Academy Awards in 2012. With "Lincoln" weakening, tonight’s supporting actor winner Tommy Lee Jones may face some challenges at the Academy Awards, particularly from Christoph Waltz in "Django Unchained." And, as much as we love Hugh Jackman, it seems like the standard bearer for "Les Miserables" will be Anne Hathaway. Her win tonight as best supporting actress makes her nearly as much of a lock as Daniel Day-Lewis.